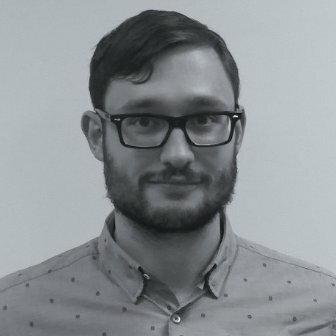 Tim Rea is a proprietary trader, trading his own money with well over 100 automated systems across 25 different Futures contracts. In 2008 he won first place in the World Cup Championship of CME E-mini Futures Trading® (third quarter)*. In 2010 he placed 3rd in the World Cup Trading Championship of Futures & Forex Trading® and came back to win the futures/forex competition in 2011. In the past he used to operate Auto Trading Systems as well as Transworld Capital Management, which was a CFTC registered CTA and NFA member in the USA however he no longer offers public managed accounts, choosing to focus on trading his own money instead. Tim trades fairly short term with most trades being completed within a 1-3 day timeframe and is fairly active doing several thousand transactions a month in total across multiple clearing firms. In this weeks episode we discuss various aspects of trading multiple strategies, including monitoring performance, money management, correlation, technology and trading in markets not in your timezone. We also discuss the impacts of the MFGlobal and PFG collapses and how Tim overcame the heavy losses to continue trading. Sounds great, give me more info! Ask yourself, is this really a good method or did it just happen to work? Diversification – we often hear about the importance of diversification but Tim really takes it to extremes. 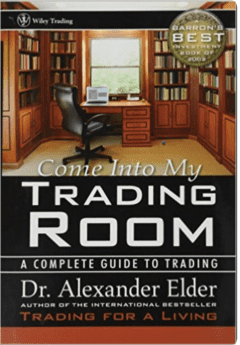 He trades more than 100 strategies over 25 futures contracts and the benefits of that is he can trade more aggressively with a portfolio of strategies than if he had an individual strategy. 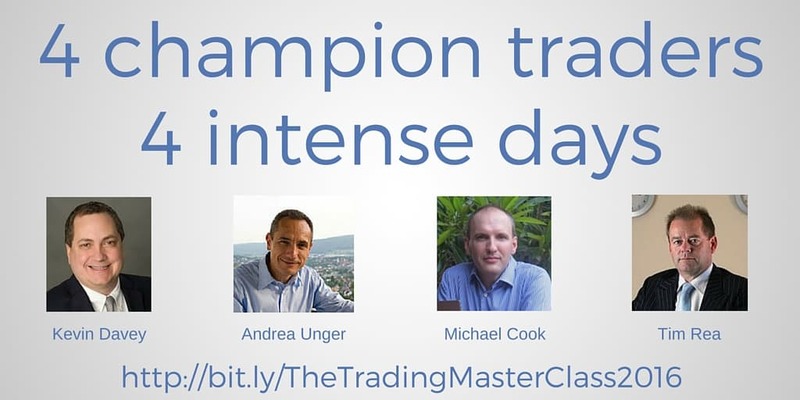 He also mentioned that diversification doesn’t have to be across instruments or markets, he won the world cup trading championships trading just the EURUSD pair in Forex by diversifying strategies and timeframes. 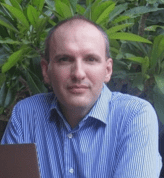 Protecting trading accounts – Tim’s experiences with the MF Global and PFG collapses is a great reminder of the risk of our trading accounts sitting with brokers or other institutions. There have been a number of collapses around the world in recent years, both big and small companies and even though client funds should be segregated how do we know they really are? Tims suggestions were to spread your trading capital amongst brokers and to only keep enough money in your account to operate. 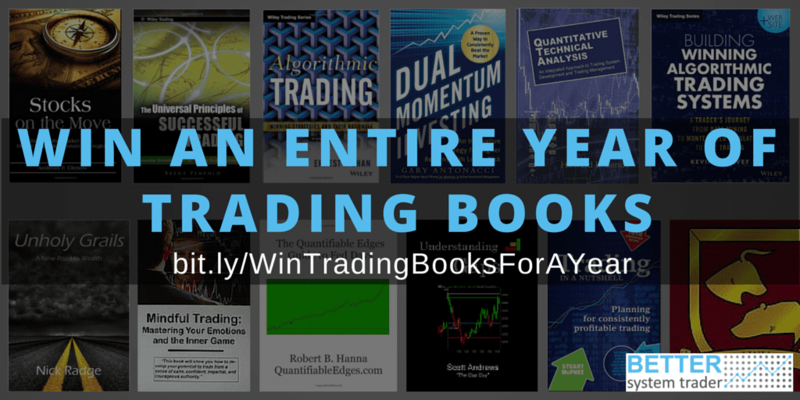 To celebrate Episode 20 of the podcast last week we’re giving away an entire year of trading books plus other great prizes. It’s running for one more week, entries close on August 30th so make sure you enter now. *Trading futures and forex involves significant risk of loss and is not suitable for everyone. Past performance is not necessarily indicative of future results. The World Cup Championship of Futures Trading and the World Cup Championship of Forex Trading are registered marks of Robbins Trading Company’s affiliate Robbins Financial Group. Accounts trading in the World Cup Trading Championships (WCC) do not necessarily represent all the WCC accounts controlled by the competitor and may produce results different than the results achieved in other WCC accounts of the competitor. If you are trading multiple strategies on the same instrument, and if, for example, a mean reversion system goes short due to an extreme over-bought condition, but then your break-out system fires a long signal from all of the new buying, do you close out the mean-reversion position and then go long? Or do you get long and short at the same time? I think in the USA that would require separate accounts to do, but I understand some brokers outside of the USA allow being long and short the same position. Each system will still have its own strategy position within a chart for it independent of the other systems in the platform I run my systems on but in my trading account it will be seen in net terms so 1 system long and 1 system short will see my account net flat. With the technology I use I have it so every order is converted to a market order when filled on the chart that is running that system so in my case I do not have issue with for example a buy to cover order from one system when my account was actually net flat. You would need to check how the platform and execution technology you are using treats it as trading software and execution technologies will be different. So I’m wondering who’s the best for scaling and execution speed and who’s not going to go bust, who do the Hedge Funds use? Early on I started working with Tradestation and while I have looked at a few others and tried some I have chosen to stick with Tradestation for a number of reasons. The guys I have a bit to do with mostly use Tradestation also, some use Genesis Trade Navigator, some both as like most thing there are some pros and cons depending on what you are trying to do. Tradestation have been around for quite a while and are a publicly listed company in the USA which gives me a bit more confidence they won’t go bust on us. They have their own brokerage but you don’t have to trade with them, you can use other technology to get the trades to other clearing firms, IB is one of them and that they have their own technology to assist with that. As for execution speed it’s a bit more complex as regardless of your software there are things to consider such as where you data actually comes from (not just the exchange where is it routed through), where your trading computer is located and where you are sending the order to. Some funds will use off the shelf software other places use custom software and API’s etc. but that is beyond most of us normal guys. Scaling should not be a broker or technology issue but is to do with liquidity of the market you are trading. Do you not experience any diminishing returns from adding so many strategies? Specifically, have you ever plotted Sharpe ratio of all strategies vs. number of strategies? Furthermore, does each system have an equal weight to your overall p&l? Do you adjust position sizing for both average risk AND trade frequency? For example, a system that risks 500 and only trade 30 times per year should not trade the same size as a system that risks 500 and trades 70 times per year. But a system that risks 500 and trades 30 times per year and a system that risks 250 and trades 60 times per year should trade the same size. With a large portfolio of systems I have had in general a better result in terms of profit to drawdown ratio than with a smaller number of systems. Bear in mind it’s not just system numbers but diversification of both methods and contracts used that is a big factor in that. Of course if I use too many systems that end up performing poorly in real life trading that could be the case but if I was trading systems that performed poorly in actual trading in a smaller portfolio and they would have even more impact then. The Sharpe Ratio I don’t actually look at in my own trading and place emphasis on profit/drawdown ratio but using portfolio testing software yes the sharp ratio tests better with a reasonable portfolio of the systems but I have never tested all 100+ systems I trade with as a portfolio but I see the net results in my account equity of course. In a perfect world I would give each system equal weighting but you need to consider a number of things such as per max trade loss, max per day loss, historical drawdowns, drawdown vs profit, trade frequency etc. While I do trade some systems with more or less contracts than others for weighting reasons the vast majority I actually trade with the same contract size to keep it a bit simpler with the number of systems I trade. The ones I do trade with different weighting it is more of a judgement thing, I am sure some traders have a complex mathematical way of determining what that should be but I don’t.